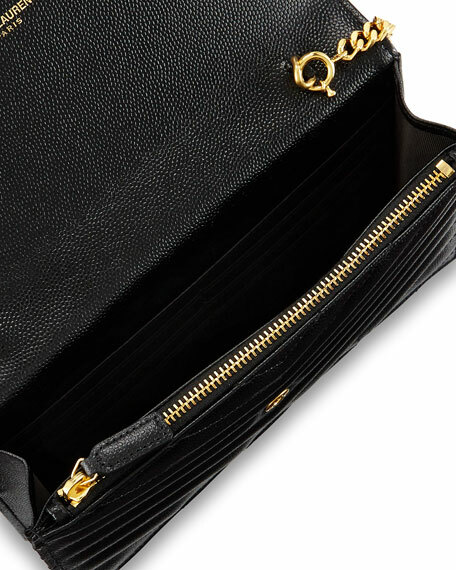 Saint Laurent chevron quilted calfskin wallet with golden hardware. Chain and leather shoulder strap; 23" drop. 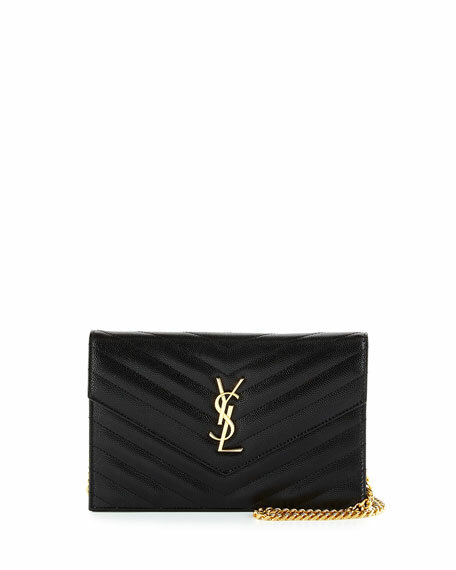 Envelope flap top with YSL logo lettering. Inside, one zip pocket; one bill slip and six card slots. Approx. 5"H x 7.5"W x 1.8"D.